First published in 1992, this book is a comprehensive and practical guide to Buddhist meditation, providing a complete introduction for beginners, as well as detailed advice for experienced meditators seeking to deepen their practice. This is a comprehensive and practical guide to Buddhist meditation, providing a complete introduction for beginners, as well as detailed advice for experienced meditators seeking to deepen their practice. 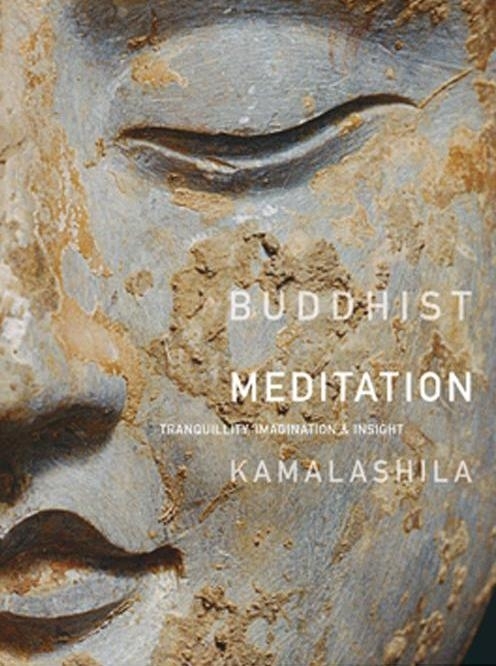 First published in 1991, Kamalashila has substantially revised and updated the third edition, with new sections on the importance of the imagination, on Just Sitting, and on reflection on the Buddha. An experienced meditator and teacher, the author explores the primary aims of Buddhist meditation: enhanced awareness, true happiness, and – ultimately –liberating insight into the nature of reality. Easy to read, enjoyable, this book takes the reader all the way from the basic foundation practices to advanced levels of practice. Kamalshila’s gentle wisdom shines through every page. While numerous works on Buddhist meditation are available today, there is still a need for an accessible and understandable handbook. This book is precisely such an exhaustive work. By presenting some of the basic methods, it offers us a detailed map with clear instructions about the path leading to tranquillity and insight. The book is the fruit of the author’s many years’ experience of meditation and teaching, with a wealth of advice – for those who are taking their first steps on the path, as well as more experienced practitioners.